S3 Browser 3.2.9 - Version News - Console bulk Amazon S3 Uploader, Improved Web Urls Generator, HTML Code Generator for Images. V 3.2.9 - Object Expiration, Console Uploader, HTML Code Generator. What's new in S3 Browser version 3.3.9. Release notes. 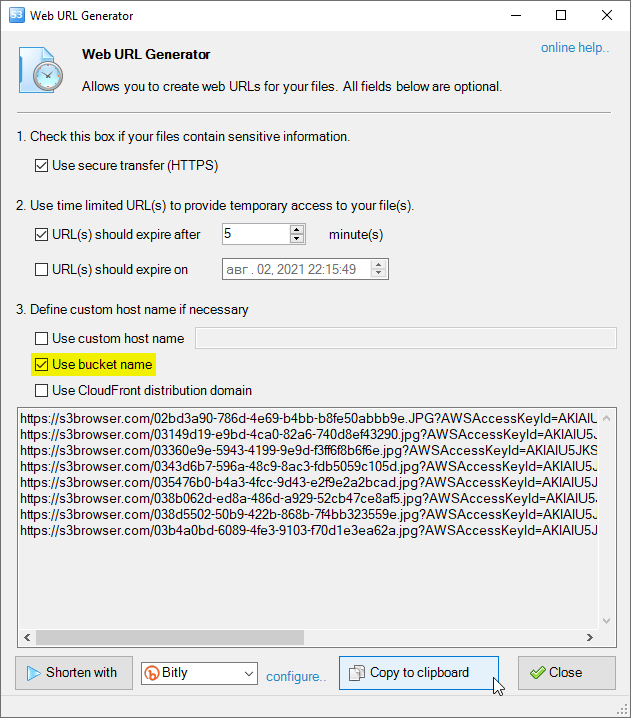 Improved Web Urls Generator - use current bucket name as a hostname. 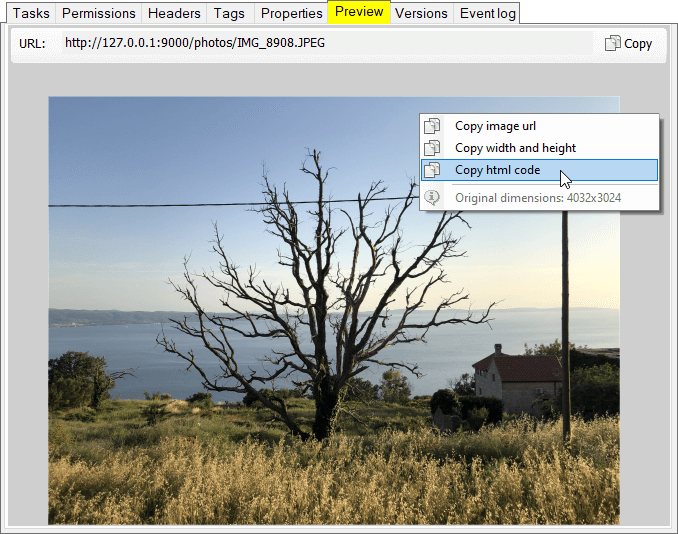 Added simple HTML code generator for images. It uses the same settings as a GUI version, so you can use the GUI to configure it. Account name - the name you specified when adding your access keys to S3 Browser. You can find more detailed instructions on how to add new access keys here. If spaces appear in the path, enclose it in quotation marks. Do not use traling backslashes. Improved Web Urls Generator allows you to use current bucket name as a hostname. 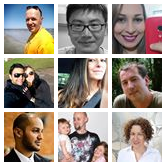 Simple HTML code generator for images. This new feature allows you to generate html code for images stored on Amazon S3.